The heat is on where I live right now and nobody wants to turn their stove on and eat steaming hot food. Therefore salads always go over big, even with folks who aren’t usually big salad fans. 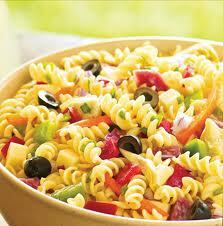 But instead of the usual salad fare, here’s a pasta salad that people far and wide approve of. The pasta makes the salad portable because you don’t have to contend with salad greens, but of course you could certainly serve the salad atop torn romaine lettuce or tender baby spinach leaves if you desire. Add a little radicchio for more colour and so forth. Whether you’re bringing it out to the backyard or to a picnic or through the woods to grandma’s house; it’s easy, healthy, and most importantly – delicious. Cook the rotini 8 or 9 minutes, or as package directs, then drain and place in cold water. Drain again and mix with the salami and vegetables and diced parmesan cheese. Then add the parmesan dressing and stir thoroughly. Yum, pasta every night would be just fine with me. This dish looks especially colorful and inviting. I can taste it now. I'm really hungry!! I am in love with that fresh beautiful parmesan/yogurt dressing ~ thanks for sharing such wonderful recipe! My kids love pasta .. looks so yummy and healthy too. MANZANITA: I thought the tri-colour pasta would add eye appeal, but any macaroni would be good. Thanks for calling. TORVIEWTORONTO: Thank You Akheela. I like this yoghurt dressing here. The latest news in yoghurt is "Greek" style, the thick stuff. My spouse loves it and has replaced sour cream with it. ANDREA: I love well made sausage, used to make my own. This hot weather salad is very tasty, glad you like it. AIPI: Thank You, the dressing is special. VARDHINI: Is yummy and healthy, adults love it too. Thank You. I haven't had a pasta salad in a long time...now I have the yen! Your pictures always look so yummy! JOANNE: Thank you for those kind words. Blessings back to you. INVERSE: I agree. Thank You. Thank you for dropping in n for ur supportive words....Good to see such creative n healthy recipes in ur lovely space...Glad to follow u..
DEEPTI: happy to hear from you, appreciate your comments. Very interesting. I love the addition of parmesan with yogurt. I have cauliflower in my fridge right now that I'm not sure what to do with. Thanks for the recipe! Just need to run out for the yogurt and salami. A summer meal rich with many carbohydrates, ideal for swimming a lot. MAGIA DA INES: Nice to meet you. I think you like the flavour of this dish and the photograph is mouthwatering. Thank You for calling. UMA: Yes, maes a nice creamy dressing plus the protein in the yoghurt. ELIZABETH: Glad you are back, thank you for calling and best wishes for DARKSPELL this autumn. SUSAN OLOIER: Sorry you have to run out for vittles, my nearest grocery is 4.5 miles away. Yoghurt is a good staple to keep0 around. LEOVI: You are correct, complex carbohydrates, but please wait 20 minutes after eating before swimming. Thank You for calling, I enjoy your abstracts. Pasta is always a welcome comfort food for me especially in this type of weather..... This is a splendid colorful salad!! MALLI: I could not agree with you more. Thank You. You absolutely cannot go wrong with pasta! Except you can't mix it with Jello. Or maybe you can. Who am I to judge? I love pasta! link to Sari. Yeah your spouse is right with respect to folds. I will try to take a picture with a piece of paper to show it more clearly. KAVERI: Thank You,it is a wonderful hot weather dish. AL PENWASSER: You could mix pasta with jello, stir it up good and throw it out. Now, cook fresh pasta and make this salad. Make fresh jello. Eat the pasta salad and have the jello for dessert. VARDHINI: Thank you for responding,see you soon. I love pasta salad! It is simply southern and fresh and so good! I love your recipe and will definitely be giving it a try! So glad you visited me today so I could find your site! I am your newest follower as well! Oh no! I took your yogurt survey just now and accidentally marked myself as a male! LOL! OH well. Thanks for another fabulous recipe! KITCHEN BELLEICIOUS: You will love this dish when you try it. See you soon. ELIZABETH: Thanks for calling, and thanks for the prize, no rush, no need to be sorry. 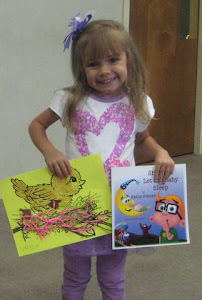 MAEVE: Thank you for helping my BW get the news about her book out, I am very grateful. Anthony - It is definitely my pleasure. I feel that Kathy's book is a treasure! My little part is so, little for something so big! But, thank you. JESSICA: I'm happy that you do. SYLVIA: Oye, am sorry to hear this. And sorry to tell you that it is not worth preparing this salad just for yourself. I have failed you now but I will try harder. RA SHELLE: You're welcome, enjoy. Adding yoghurt to the pasta sauce sounds like a wonderful idea. I usually use just cream and milk. Will sure try this delicious twist next time! PLATEFUL: Yoghurt is a good idea. I didn't this time, but Greek-style yoghurt, available everywhere now, is good in this salad. sounds yummy!!! but right now, my hubby is suffering from gout so the pasta is out.... maybe later!! What a great idea for a salad to take to a potluck dinner. Having just returned from Italy in June I am still addicted to Italian inspired food. Thanks for visiting my blog. Hope it cools down there soon. KEENA: I've had gout twice. Get a pint of "Black Cherry Concentrate" and mix with water and drink some daily. After a couple days gout will be gone. JOANNA: This is portable indeed. You already know the inbgredients. Oh goodness I love this salad. P.S. your meal you commented with sounds like wonderful. ALEXIS: Yeah, it's a wonderful salad. enjoy.